Paul Ekins has a Ph.D. in economics from the University of London and is Professor of Resources and Environmental Policy and Director of the UCL Institute for Sustainable Resources at University College London. He is also Deputy Director of the UK Energy Research Centre. He has extensive experience consulting for business, government and international organisations. 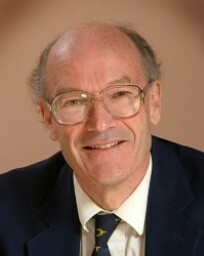 Paul Ekins' academic work, published in numerous books, articles and scientific papers, focuses on the conditions and policies for achieving an environmentally sustainable economy. His co-edited books include Global Warming and Energy Demand (Routledge, 1995), Carbon-Energy Taxation: Lessons from Europe (Oxford University Press, Oxford, 2009), Energy 2050: the Transition to a Secure, Low-Carbon Energy System for the UK (Earthscan, London, 2011); Environmental Tax Reform: A Policy for Green Growth (Oxford University Press, Oxford, 2011); and Global Energy: Issues, Potentials and Policy Implications (Oxford University Press, Oxford, 2015). In the UK New Year's Honours List for 2015 he received an OBE for services to environmental policy.